Chelsea are set to take on FC Barcelona in the UEFA Champions League round of 16 tie where the first leg will be played at the Stamford Bridge on Tuesday, 20th February 2018 and the second leg will be played at the Camp Nou three weeks later on Wednesday night, 14th March 2018. These two have a massive history between the two over the last 12 years and it will be another fascinating tie between two European giants. The first leg will kickoff at around 20:45 CET / 19:45 uk time and we will have match highlights of the game right here if you missed the live action. 62′ 1 – 0 Willian scores with beautiful finish to put Chelsea in lead after hitting the cross bar twice in first half. 75′ 1 – 1 Lionel Messi made it 1-1 on the night minutes after Willians goal and put Barcelona in command in this Round of 16 tie. Chelsea vs Barcelona Head To Head: Chelsea and Barcelona have meet 15 times europe since 1966 with results pretty much even with both teams winning 5, losing 5 and drawing 5. 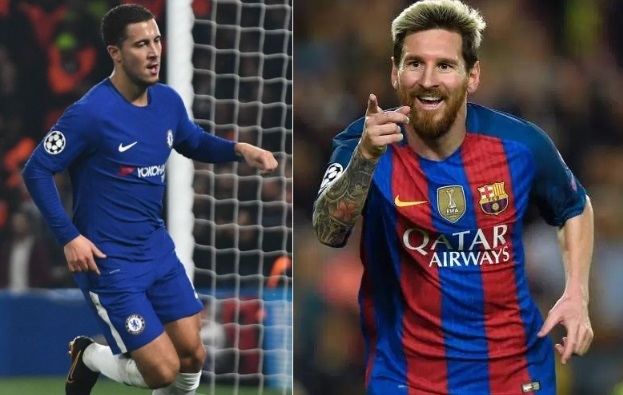 However since 2005 these two have meet in five Champions League ties (10 matches) with Chelsea only losing in two matches and undefeated against Barcelona since 2006. This setup a massive Round of 16 tie and we can expect some quality football over the two legs. 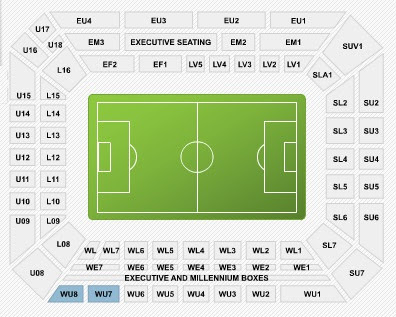 How To Buy Tickets for Chelsea vs Barcelona First Leg at Stamford Bridge: UEFA has the rule that away side will get atleast 20% of the allocated seats with 10% going to UEFA while rest of the 70% a club can sell through their own channels be it via their official websites or third party ticket exchange companies. Stamford Bridge has a capacity of around 41,663 and your best bet to but Chelsea vs Barcelona first leg ticket is through Chelsea FC official website. You will have to become the club memeber to stand a chance of buying ticket at its face value. However as the match date come closer, tickets are start to be made available on third party ticket exchange sites but at extra cost. The bigger the match, higher the cost of buying tickets at secondary markets like ticketmaster or viagogo. Ticket face value is usually around £60 to £100 only, but if you were to buy through ticket exchange site like viagog it can cost anywhere between £295 to £1000 for a high profile knockout game.